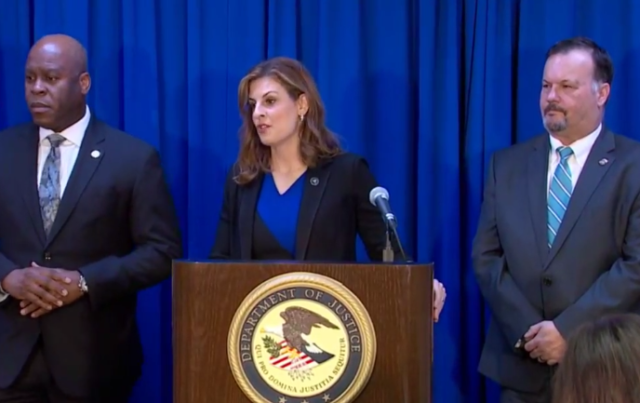 U.S. Attorney Erin Nealy Cox (center) announces the guilty plea of former Dallas City Council Member Carolyn Davis, and the indictment of Dallas developer Ruel Hamilton. 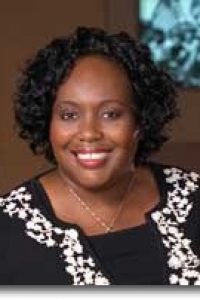 Former Dallas City Council member Carolyn Davis pleaded guilty to taking bribes from a local developer, the U.S. Attorney’s office announced Friday. AmeriSouth Realty Group founder and CEO Ruel Hamilton was indicted on two counts of bribery as well, officials said. Documents for both Davis’ plea and Hamilton’s indictments were unsealed Friday. US Attorney Erin Nealy Cox told reporters Friday that her office has “relentlessly” addressed public corruption cases in the last 14 months. “And today, the reckoning continues,” she said. Davis admits to taking bribes while she was Housing Committee chair, sometime between November 2013 and June 2015. Her plea agrees that she took $40,000 from a developer for her assistance in getting an affordable housing project passed. While Davis’ charges do not name Hamilton directly (he is called Person A), Hamilton is charged with two counts of bribery regarding local government receiving federal benefits. Davis’ official charge is conspiracy to commit bribery concerning programs using federal funds. “In return for the money — plus the offer of a consulting contract once her tenure at the City Council concluded — Council Member Davis admits she lobbied and voted for the authorization of a $2.5 million development loan to fund the Royal Crest housing project, along with a City of Dallas resolution supporting 9 percent tax credits for Royal Crest, which was competing with another project,” the DOJ’s press release said.